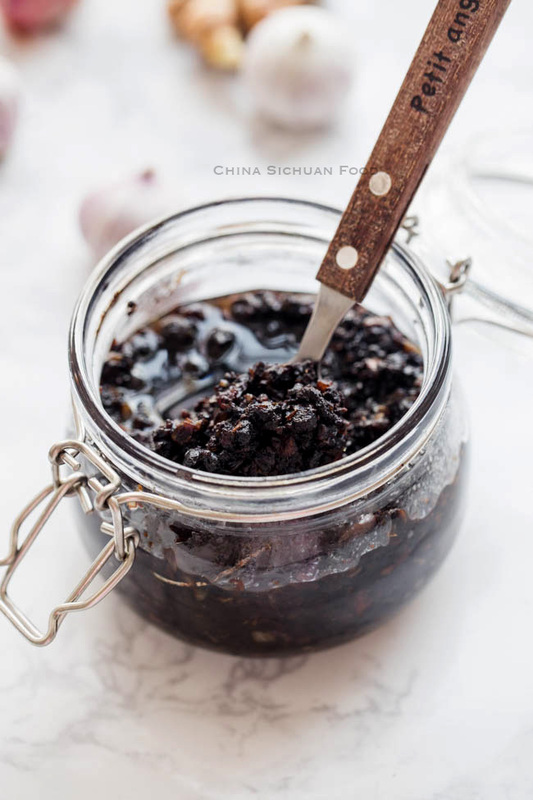 Fermented black bean usually has a very strong and unique flavor, it goes well with steamed dishes, stir-fries and soups. 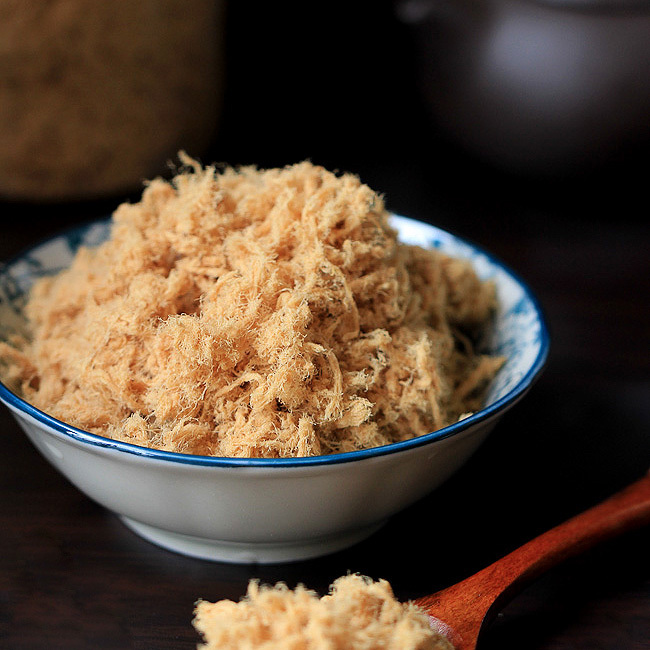 It is widely used in Sichuan and Cantonese cuisines. 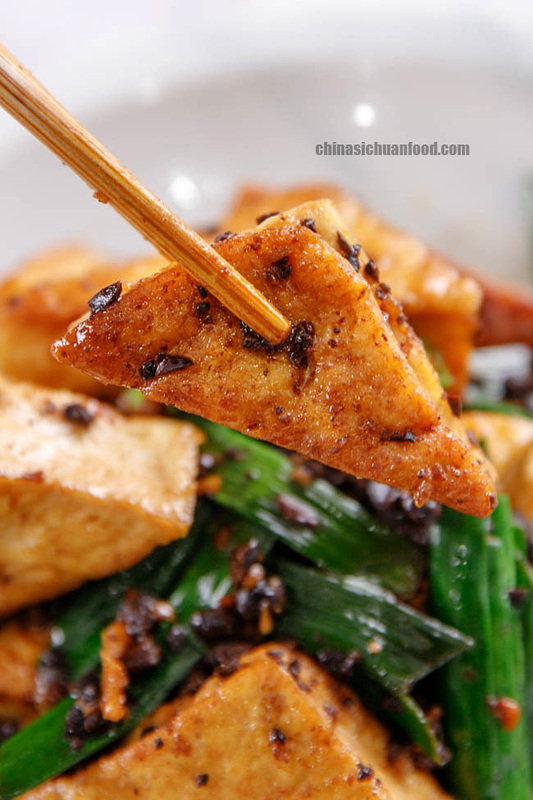 However, I get lots of feedback about it is hard to make full use of the flavors in especially stir fry dishes. That’s why I draw up this post, aiming to solve this problem. After this one, I will draw up several simple ways to use it and save your time in daily cooking. 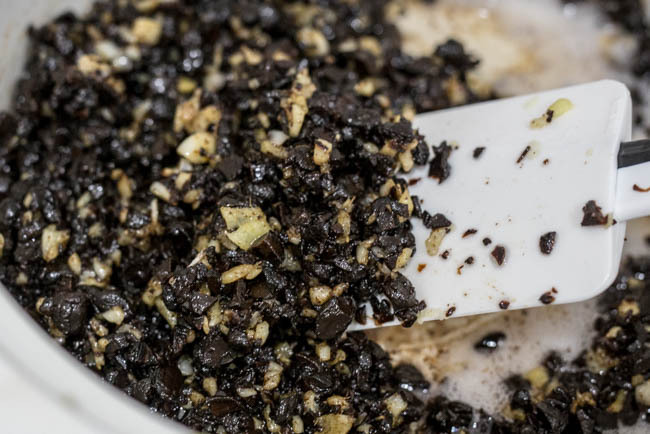 The best partner for fermented black beans is garlic and ginger. 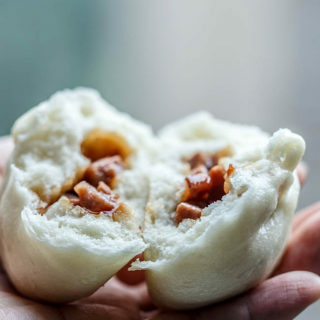 These two are also the most popular aromatics in Chinese cuisine. 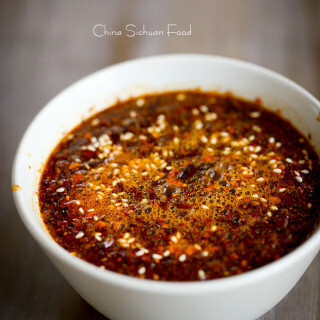 You can also upgrade your sauce by adding some dried chili powder or Sichuan peppercorns to a spice version. We make the basic version today, since it has a wider use scope. Scallion white can be optionally in this sauce, but you should be very careful because chopped scallion white is quite easy to burn, which release a bitter taste. 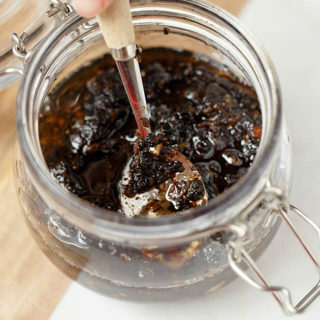 Though only a small amount is needed, sugar is quite important for the sauce as it can help to soften the strong flavor from fermented black beans. However I do not suggest adding a large amount in the sauce itself to avoid overwhelming sweet taste. 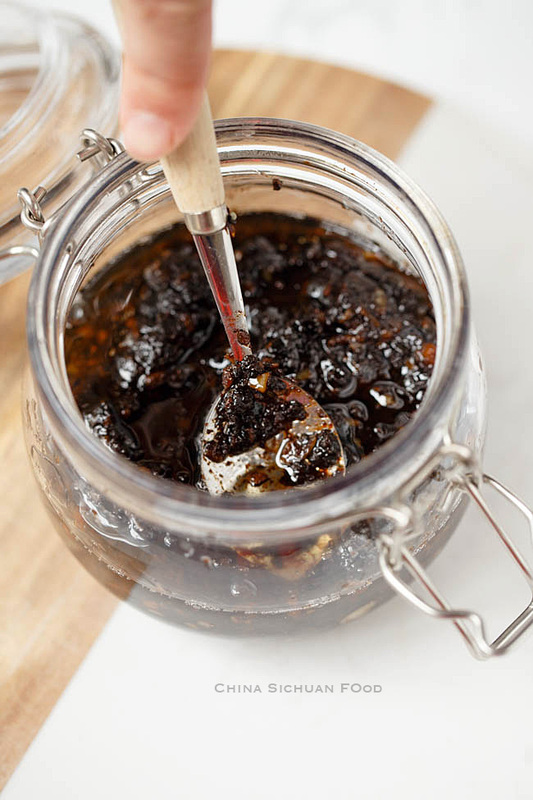 Fermented black beans are quite salty, so spare your salty content such as salt and light soy sauce. When using it in dishes, limit the amount too. 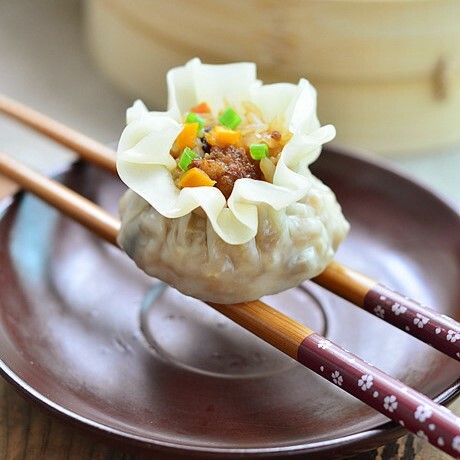 After transferring the sauce to the container, use a scoop and press the solid content underneath and let the oil floating on the surface, which can help to separate from the air. Use the sauce at least after 12 hours until all of the flavors are well combined. 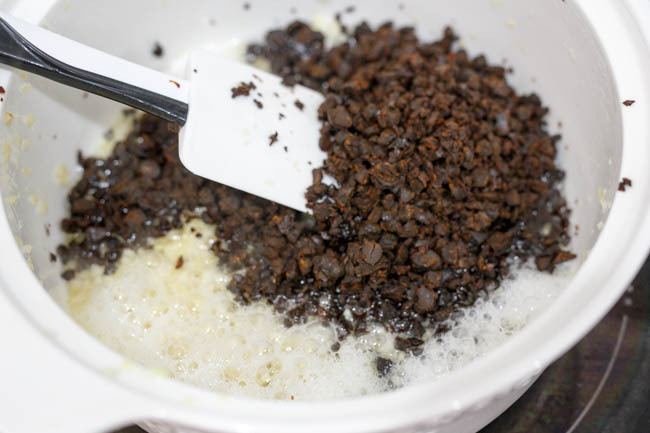 Rinse the fermented black beans, drain and finely chop 2/3 of the beans, leaving 1/3 of the beans as whole ones (you will love their decoration function). Heat oil in a deep pot until warm. 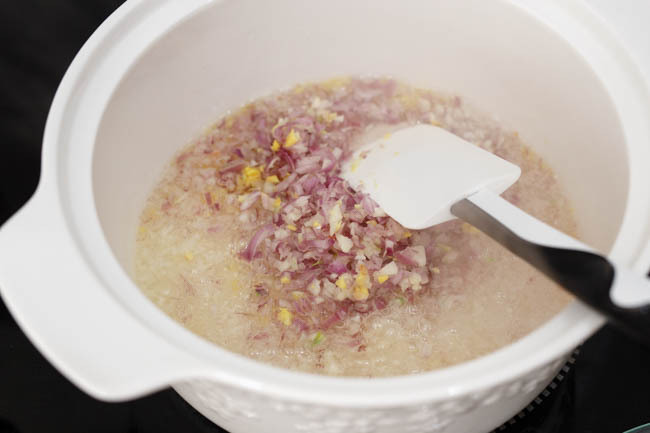 Add shallot, garlic and ginger in and fry until soften and aromatic. Keep slow fire and watch the ingredients carefully. Do not burn the garlic as burnt garlic release bitter taste. 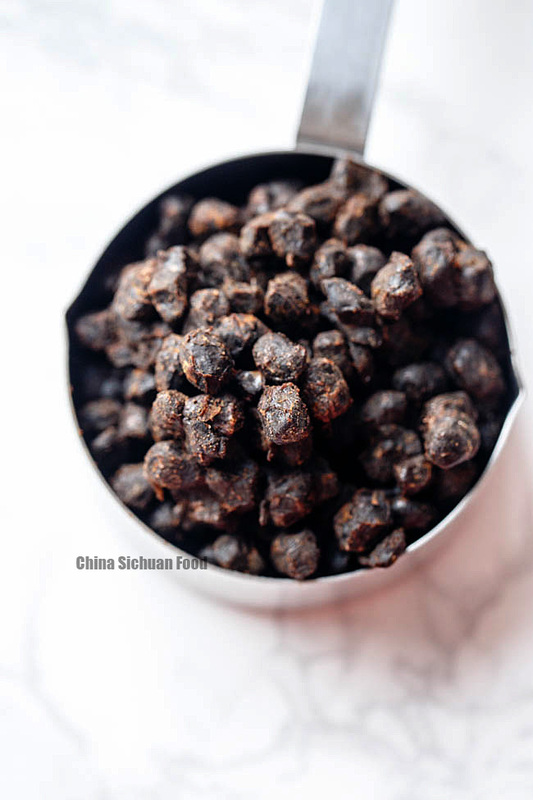 Add fermented black beans and fry for 2-3 minutes over slow fire. 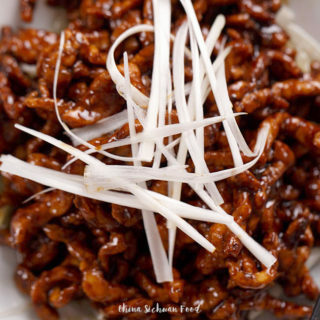 Pour light soy sauce, cooking wine, sugar and spices (chili pepper flakes and five spice powder). Cook until the sauce is well thickened and there are floating oil on the surface. Cool off completely and transfer to an air-tight container. At least wait for 6 hours until flavors from different ingredients are well combined. How to use the sauce? 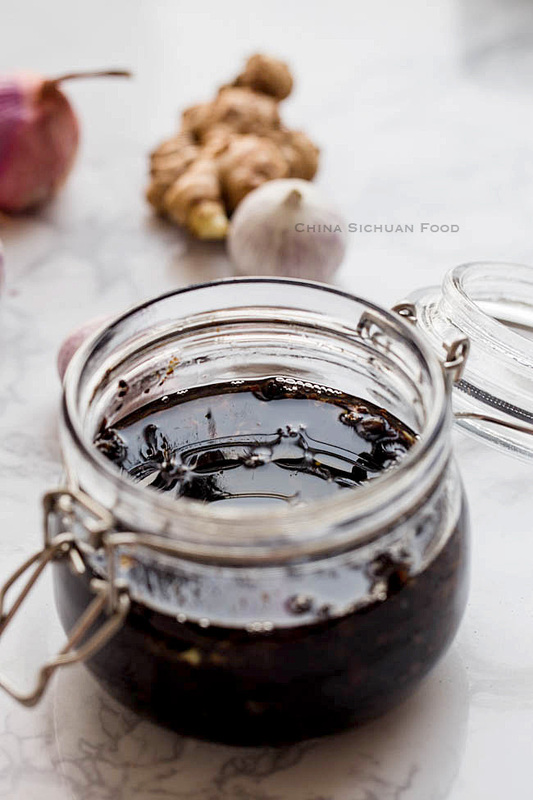 Black bean sauce can be used in steaming dishes ( steamed ribs) or stewing dishes (black bean fish). 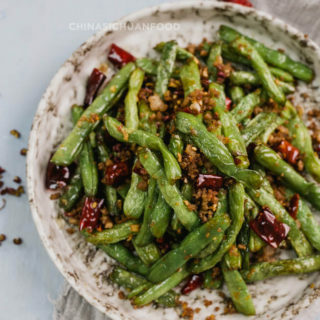 And it goes pretty well with vegetables including green beans, cauliflower, lotus root, fried tofu etc. 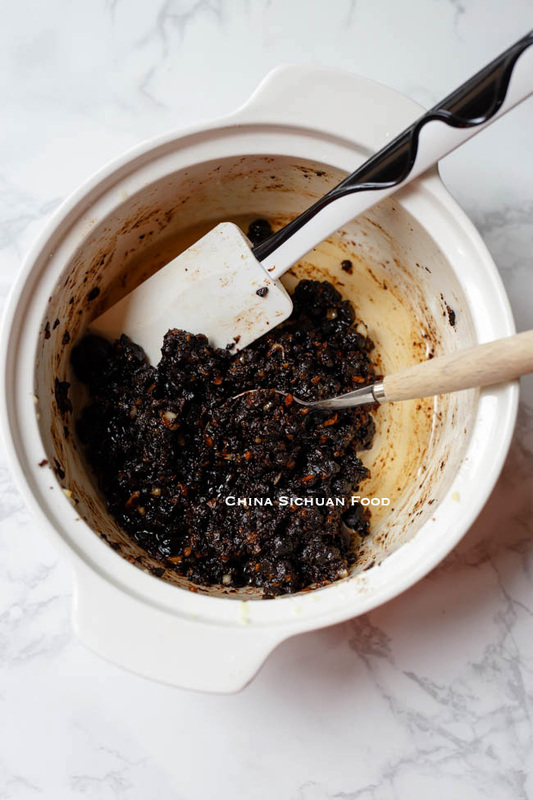 Easy to use homemade black bean sauce for stir-frying, steamed dish and stews. 2 tbsp. sugar ,optionally you can upgrade it to 4 tbsp. Heat oil in a deep pot until warm. Add shallot, garlic and ginger in and fry until soften. Keep slow fire and watch the ingredients carefully. Do not burn the garlic, burnt garlic release bitter taste. Add fermented black beans and fry for 2-3 minutes over slow fire. Pour light soy sauce, cooking wine and sugar. Simmer until the sauce is well thickened and there are floating oil on the surface. Add five spice powder and chili pepper flakes if you are using. I hope they can be helpful to you. Happy cooking. Since there is enough oil on the surface, it can be kept in room temperature. Fridge keeping is better. 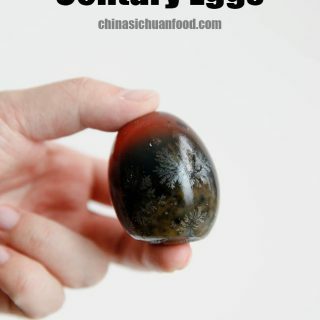 It can be kept for quite a long time up to 1 month. 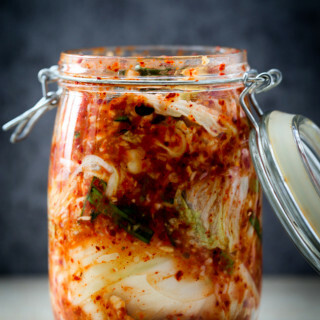 I have read that storing garlic in oil at room temperature can be very dangerous because of the risk of botulism, so maybe it’s better to keep this sauce in the refrigerator? 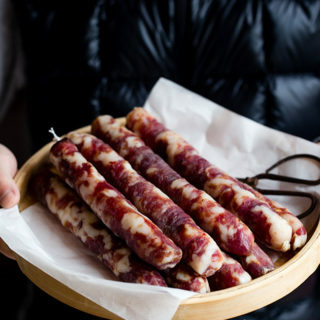 Fantastic site and wonderful recipes. Thank you for all your work and attention. Greatly appreciated. 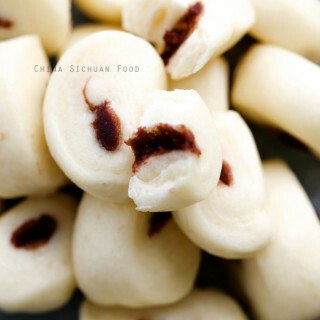 I love your site , and the wonderfull recipe and trick.